The two researchers, mathematician Marko Rodin, and health scientist, Leonard G. Horowitz, independently confirmed the other’s discoveries of precisely the same frequencies of sound with which the universe is believed to have been created. The two came to the same conclusions by studying completely different fields—Pythagorean mathematics and Biblical metaphysics. Math expert Rodin studied simple mathematical patterns recurring throughout nature. From this he developed a numerical matrix wherein certain three digit integers are seen to repeat. “We know these are the core creative frequencies of the universe because math doesn’t lie, the geometry of physical reality universally reflects this math, these findings have been independently determined, peer reviewed, empirically obvious, and consistently confirmed,” Dr. Horowitz says. In Walk on Water ($16.55; ISBN: 0-923550-37-2), Dr. Horowitz’s latest of 15 books, he features “Rodin’s math” in advancing the physics and metaphysics of what he calls the contemporary “Spiritual Renaissance.” He explains why Earth is being increasing affected by these core creative frequencies governing miracles, family, love, and more. “All healing,” for example, “results from vibrational entrainment, resonance, and harmonization with these core creative frequencies, especially 528—‘the sound of Love’,” Dr. Horowitz posits. He explains why the main bioacoustic function and mission of nature, DNA, cells, tissues, and body water is this kind of “communion” with what the religious world calls the Holy Spirit or Divinity, and physicists call the “standing gravitational wave of the universe.” His evidence and rationally deduced theory simply explains why the theological tenet, “love heals all,” is scientifically valid. To help spread this “great news,” Walk on Water’s non-profit publisher is offering cases of the 144-page paperback at huge discounts—less than $5 per book for distribution by organizations and resellers. 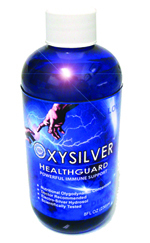 To take advantage of this special offer, call 1-888-508-4787, or go online tohttp://www.healthyworlddistributing.com. NOTE TO JOURNALISTS: For review copies ofWalk on Water, or interviews with Dr. Horowitz, please call Jackie Lindenbach at 1-808-965-2112.